GOOOOD MORNING! Guess who finally got internet after a good few days? It was quite nice to have a break from it all but glad to be back in the social-networking world. 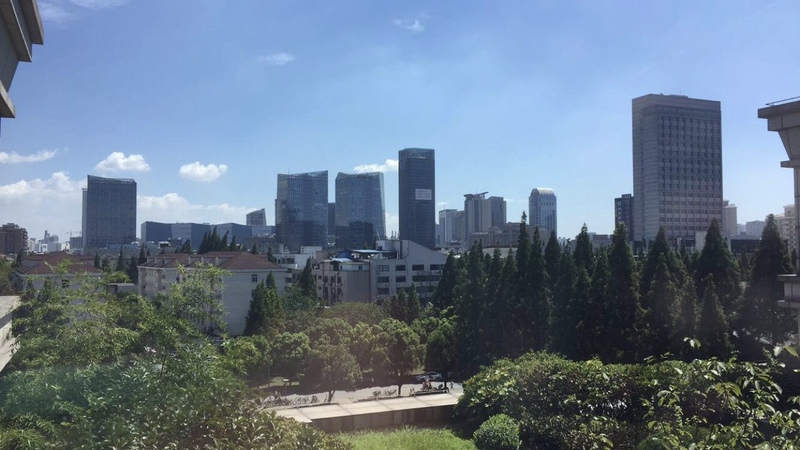 Been in China 1 week now and I am actually loving it. That sounds surprising but it is for me as I had a vision of the first week feeling homesick, confused and a bit under the weather about the whole “moving abroad” process…I’m the complete opposite though. 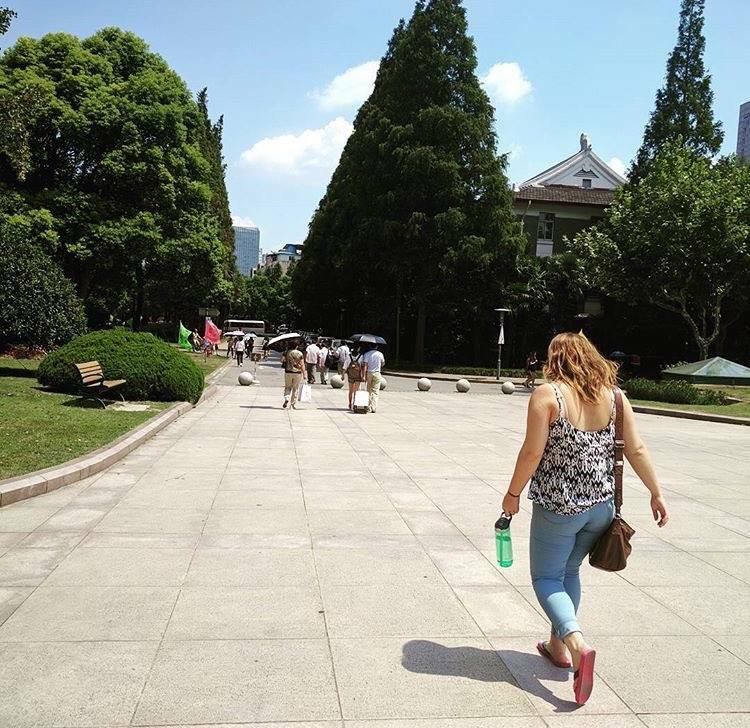 I have met so many friendly faces (including my crazy flatmate Aneta who I’ve already planned to travel with), walked around campus a fair amount and settled in to my new home on campus. We ventured off to Lauren’s flat, as she’s living off Campus, and ended up getting caught in the rain storm which we were not expecting. No umbrellas or waterproofs on us; we got soaked through! The views from the buildings on campus are pretty insane. We are pretty close to the Bund which is where all the beautiful skyscrapers are, including the second tallest building in the world, the Shanghai Tower. I went out on Wednesday night with all my friends after seeing my friends in Shanghai, the Percivals, after 4 years, who treated me to a lovely dinner and birthday presents. 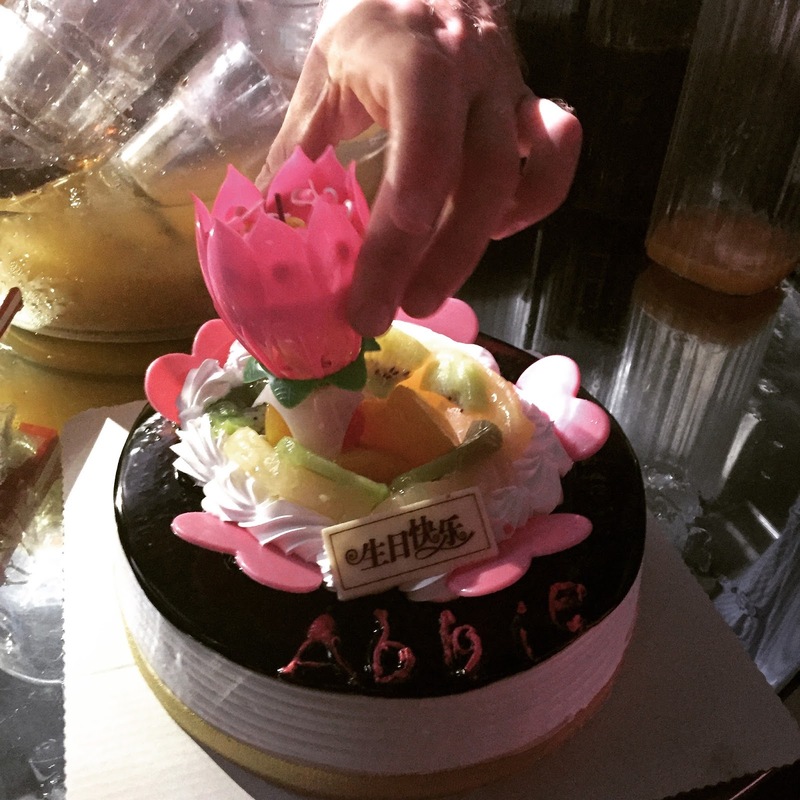 We went to a club called Fusion where my friends surprised me with a birthday cake and endless alcohol, I was not complaining. Yesterday was the first proper day where I was able to get out of campus and properly explore around the area and get the metro to other places. Obviously I chose to go to Nanjing East Road (南京东路) which is where the Bund is situated. Just opposite of the metro station is the 4 Floor Forever 21, how could I not take a trip into there? I found a cafe for lunch and got a sandwich and juice. Just my luck, I managed to spill all the juice over me half way through my lunch. Even worse, this juice was thick and lumpy so the aftermath was not good. I went back into Forever 21, bought an outfit and changed into it right away. 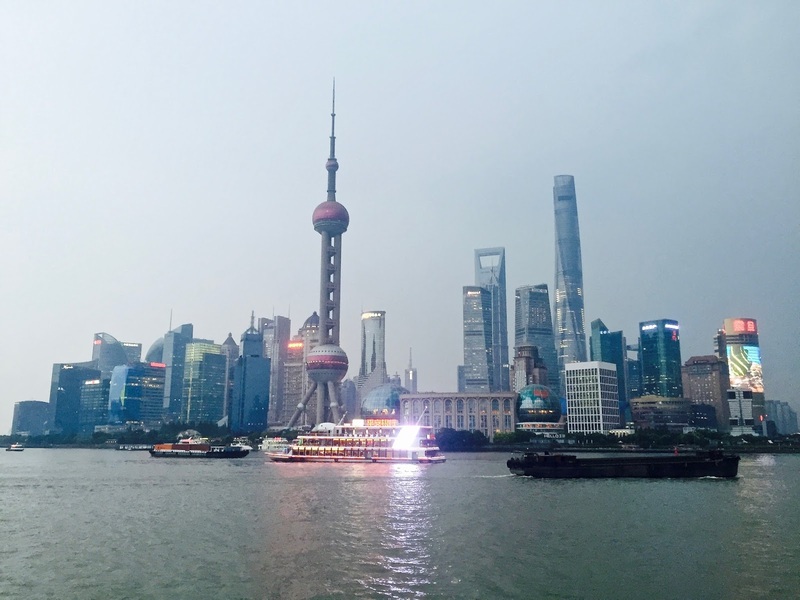 I made my way over to The Bund which was packed with locals and a few foreigners and admired the beautiful view. Sadly, the pictures are not the best as I only had my phone with me and it was starting to get dark so it looks dull. 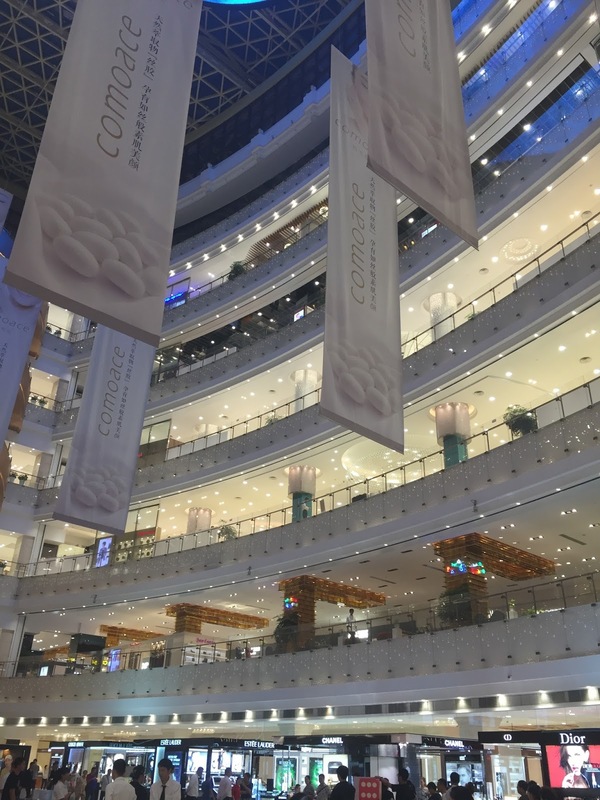 I also made it to one of the upper market malls, where I definitely did not fit in as I looked like a tramp with a dress and trainers on, no make up, and sweaty hair…not the best look I must admit. I am glad to have settled in though. I didn’t have time to get over jet lag as I had to be up early everyday. I am so tired still but fighting my way through it!